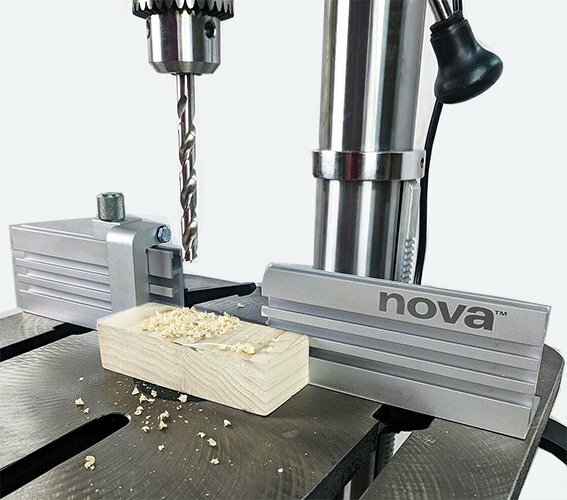 First in a line of exciting accessories for the NOVA Voyager, this fence accessory will allow you to drill consistent holes along the same plane every time, as well as provide support for larger pieces of wood. • Heavy duty aluminum extrusion ensures stability and flatness along the length of the fence. • The cutaway center section allows you to drill with smaller bits very close to the fence so that auxiliary blocks are not needed as frequently. • T-slots on the face and top to allow for the addition of hold downs and other devices to support the workpiece. • Flip stop for consistent positioning in repetitive drilling. • Ratchet style locking handles to permit quick positioning and solid locking of the fence. 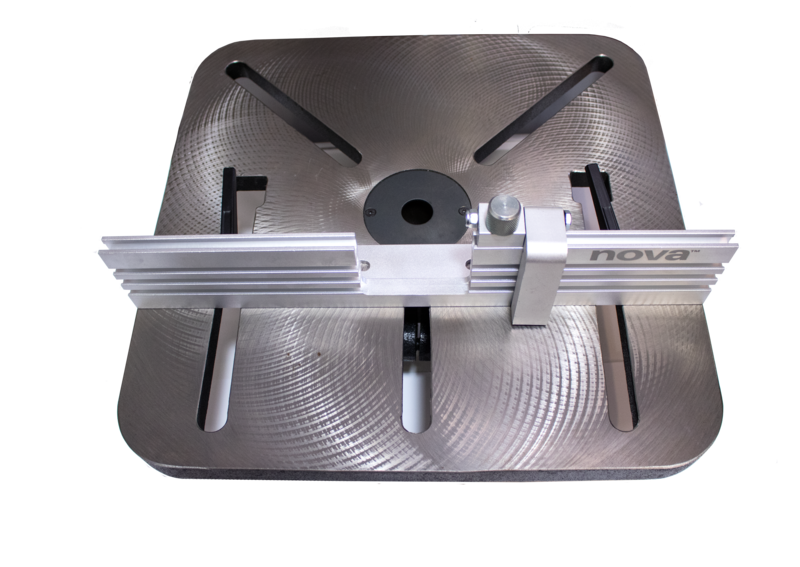 • Fits most Drill Presses (Check your specific machine specs).